Through collaborative working the NOC translates its world class science and technology development into benefit for UK businesses. We work with businesses of all sizes, from SMEs to multinationals and our science is applicable for many industries including renewable energy, shipping, water management, oil and gas, and defence. 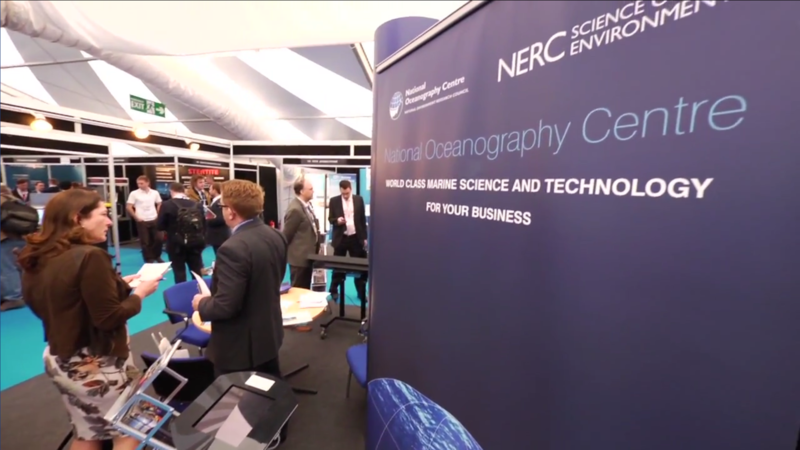 The NOC is where science meets business, and our Marine Robotics Innovation Centre in Southampton is shared with SMEs working alongside the NOC on a range of projects. The centre also has an active community of Associate Members from global businesses. Subscribe to our Working with Business email bulletin. This video gives an insight into how the NOC engages with business. It showcases our science and expertise and how that might help your business.